With the advancement in technology, many significant changes have been witnessed in almost all spheres of life, be it education or job. Now people don’t rely entirely on traditional methods for enhancing their knowledge instead, the boom in the use of the Internet has made it possible to explore many new things at people’s own pace and convenience. When comes to Traditional Learning vs Online Learning, many questions chew up the mind of people, while some welcome this changing trend others take it intimidating. This tutorial is to help you choose the best one by knowing the pros and cons of each. Let’s dig a bit deeper and know the whole nine yards of Traditional Learning vs Online Learning. The traditional learning method means to attend classes in person in an institution or university. On the other hand, online learning refers to learn things over the Internet. With the emerging trends, though many students have switched to online learning, traditional learning is still is one of the best methods to grow inch-by-inch and day-by-day. In today’s era, for achieving success both the methods are necessary for students to take their intelligence to the next level. Let’s check how. Both the learning methods follow different learning style. When comes to online learning, it seems to be more independent and suits the needs of virtual learners though to learn things over the Internet, students are required to be active and go through the details for learning new things. It can be said that e-learning is a self-directed way to achieve your educational goals. In online learning, students need to plan their study as a replacement of tutors. On the contrary, with the traditional learning students can get guidance from their faculties to plan their studies and achieve their goals. Along with faculties, your mates’ help will be an add-on. You can get motivated by your peers for achieving your challenging goals. There is also a misconception among the students that online learning is way better and easier when compared to traditional learning. But, (sorry to say!) this is not the case. Online learning demands equal energies and sweats for getting the desired success. Whether your choice is Traditional or Online learning, both the methods need you to be somewhat tech-savvy. For online learning, you need to learn how to use the Internet, make searches on search engines, relevant software, email tactics, social media, web pages, webinars, and many more things. Traditional learning, these days, is also not untouched with the use of technology. Students need to learn basic technological skills for making their documents and assignments. Moreover, for making the whole learning process easy and effective, you need to apprehend technologies and software. Where online learning lets you do your coursework at the time you fancy, traditional learning binds you to attend classes for 5 -6 hours a day. As a result, online learning is more user-friendly and flexible. Even if online learning is a more flexible way to grasp things compared to on-campus classes, students miss the real-time interaction and at the same time are not able to clear their queries in a jiffy. When comes to cost, traditional learning is far expensive than online learning. In traditional learning, students need to pay for each and every service ranging right from admissions to books and food to hostels. Whereas, there is no such charge in online learning. You just need a good Internet connection and a tool like PC or laptop to make things easier. Though online learning is a cost-effective way to learn things, companies or organizations while recruiting an employee don’t consider it. Instead, you have to carry a certification from a good institution or University to prove your worth. 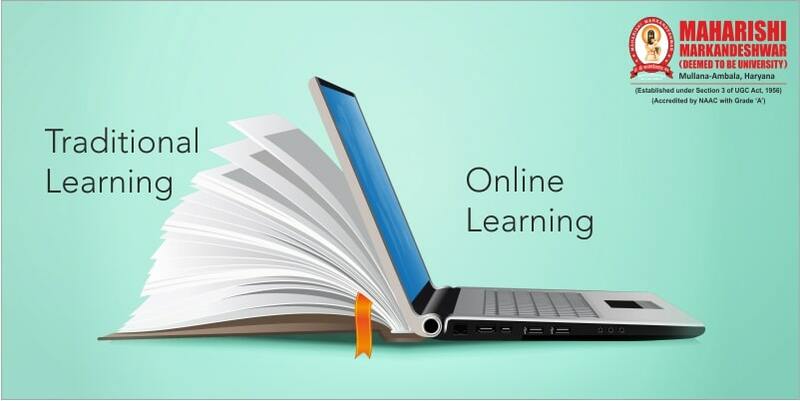 This post deliberated on Traditional Learning vs Online Learning. Now the ball is in your court. If you are ready to compromise college life and are willing to take all the pain of learning things of your own then online learning is for you. Else, going with traditional learning would still be the best option to take your learning experience to the next level, rather you can follow both the methods while enrolling yourself in traditional learning. I am in fact thankful to the owner of this web page who has shared this impressive post at this time. Some genuinely grand work on behalf of the owner of this website, perfectly great written content. others using your blog post. I have read so many contents on the topic of the blogger, however, this post is really a nice article, keep it up.